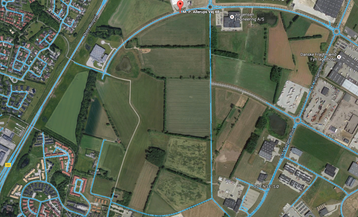 Search giant Facebook plans to build a large new data center in a commercial park close to Odense, Denmark. The 184,000 sq m (2 million sq ft) facility consists of three server rooms, an administration building, a substation and emergency power generators on 500,000 sq m (5.4 million sq ft) of land, Fyens.dk reports. 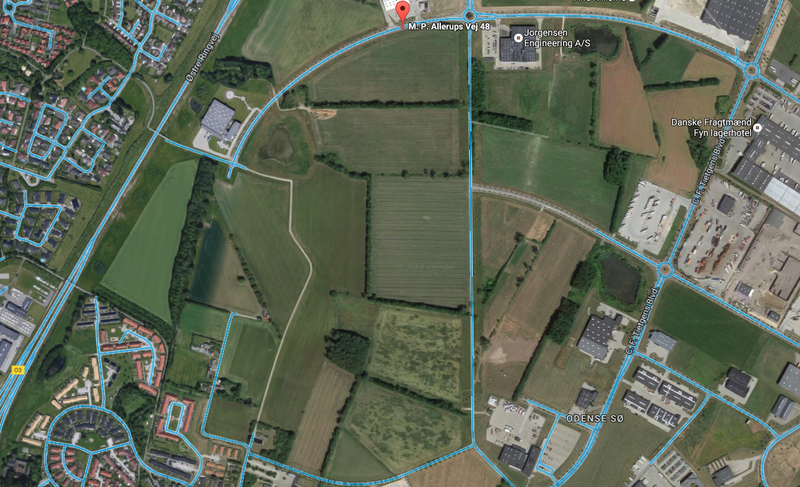 The Danish news site uncovered that Cassin Networks Aps, the company that bought the Tietgenbyen, Odense land for 68 million DKK (US$10 million), is actually Facebook. Cassin Networks is owned by Wuronda Investments Ltd, which was created by Dublin-based Edge Network Investments Ltd, which in turn was created by Dublin-based Facebook International Operations Ltd, which is owned by California’s Facebook. The company previously followed a similar path of secrecy when it negotiated to build a major new data center in Utah or New Mexico, using the alias Greater Kudu LLC. Facebook has two other data centers located outside of the US - one is under construction in Clonee, Ireland, and expected to cost around $220 million, and the other in Luleå, Sweden is in operation. Opened in 2012, Luleå was expanded in 2014, but originally cost $450 million for construction and equipment. It is not known how much Facebook will invest in its Odense facility, although construction plans show that it is larger than the one in Luleå. Fyens.dk reports that the official VVM-assessment (an environmental document) developed by consultancy company Cowi pegs the server rooms at 92,000 sq m (1 million sq ft). Work is thought to have already begun, with international construction company Mace moving in last week and a fence and security guards now in place. Mace was revealed in August to be building a €2 million data center near Amsterdam, for Microsoft. The data for Google Maps’ satellite view predates the Facebook development, but we believe the Facebook data center is headed for the large irregular-shaped field at the center of the image (above). The red map marker at the top center is the is the address on Cassini Networks’ land registration certificate (or “tingbogsattest”), which Fyensk.dk posted online. The building visible at bottom center of the satellite image belongs to AMU-Fyn, a training company whose approval was required for the development because it is adjacent to the proposed site, according to reports. Fyensk.dk tracked down Finn Ravn, the AMU-Fyn manager who wrote back in support of the proposal for a large data center on the site. He only took ten seconds consideration, for the anonymous proposal, he told Fyensk.dk - and on learning his new neighbor would be Facebook he said this was “awesome”. The Tietgenbyen commercial park is on the E20 freeway near Odense, and is named after Carl Frederik Tietgen, a 19th century magnate who was responsible for a great deal of the industrialization of Denmark. Among the many companies he founded, the most well known to international readers is probably the brewing company Tuborg, established in 1873 and now part of the Carlsberg group.